Last “catch up” post from last week — and this one will be posting while I’m on my way back to my hometown for the weekend! 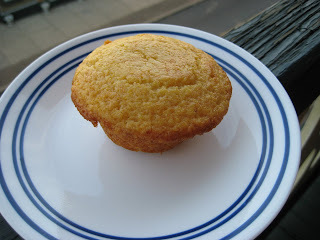 No fancy stories, no funny quirks, just a darn good corn muffin recipe. Thank you, Food Blogga, for this deliciousness. 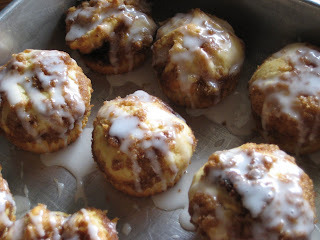 When I saw this recipe over at Joy the Baker I got excited — quick cinnamon rolls?! In muffin form?! These were tasty, but unfortunately, I have to admit they’re not as good as a real cinnamon roll. At least not in my opinion. Still a very tasty muffin, though! Because of the yeast, these are a much denser and more bread-like muffin — they’re not light and fluffy. The consistency of the batter also made it hard for me to swirl the cinnamon mixture in. It would probably taste more “correct” if I’d taken the time to figure out a way to mix that cinnamon mixture evenly throughout the dough. 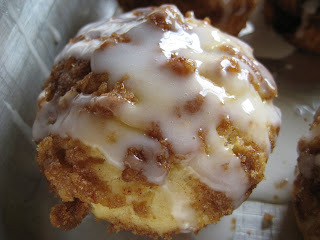 Edit: I’ve entered this recipe in Joelen’s Culinary Adventures blog event — Marvelous Muffins! Coconut is one of those things that I go in and out of enjoying. I also tend to forget it exists until it pops up again on my radar. 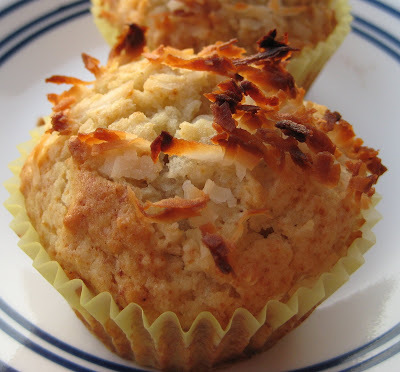 So when I saw the recipe for Banana Coconut Muffins (aka, Five Kinds of Awesome) over at the No Slivers Here blog, I figured it was time to re-incorporate coconut into my cooking. I could’ve eaten them all as soon as they came out of the oven! YUM! I swear, a little dollop of whipped cream on top, and these bad boys would taste like pie! Note: The recipe says it makes 8, 1/2″ deep muffins. But I never buy specialty sized muffins tins, so I used my standard 12-muffin tin. I got 10 muffins. – Preheat oven to 375°F. Line muffin cups with liners. – Whisk together flour, baking powder, and salt in a bowl. – Whisk together bananas, butter, sugar, egg, vanilla, and 1/2 cup coconut in a large bowl until combined well, then fold in flour mixture until flour is just moistened. 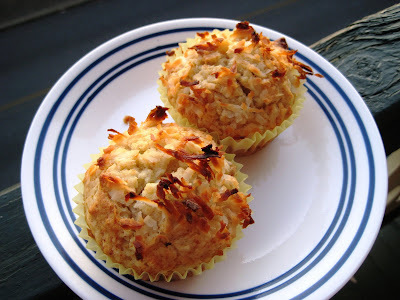 – Divide batter among lined muffin cups and sprinkle with remaining 1/4 cup coconut. – Bake until muffins are puffed and golden, about 25 minutes. – Transfer muffins to a rack and cool slightly. When I saw this recipe on BrownEyedChef’s blog, I knew I had to try it. 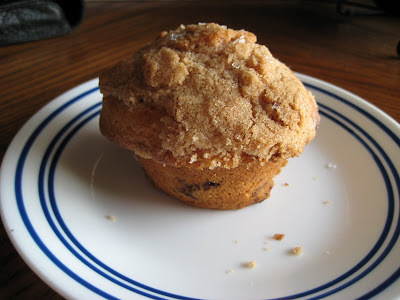 I’m batty for blueberry muffins, and I am continuing my quest to find the perfect one. I think next time I’ll just sprinkle with some large-granule sugar, and call it deliciousness. But, in the interest of the perfectionist that I am, I’ll continue trying blueberry muffin recipes to find the “perfect” one! Apologies for the bad image — I was in a hurry on Sunday, and I knew if I didn’t get a picture right out of the oven that DH would have them all eaten before I could try.